Not a great shot, but I wanted to post something... It's sort of an odd framing, which makes me ponder about dynamic composition. I know the rules, but know that sometimes it works and sometimes it doesn't. Sometimes you have to break the rules. I was working on a calendar earlier this evening, trying to find the best cropping of a uniquely framed image, thinking "okay, where should the eyes go in viewing this image." / This shot was taken on Black Gum Hill earlier in the summer. It's now September, and as I twittered earlier this week, "where did the summer go?" I feel no urge to fault the crop or reach for the rule book . . 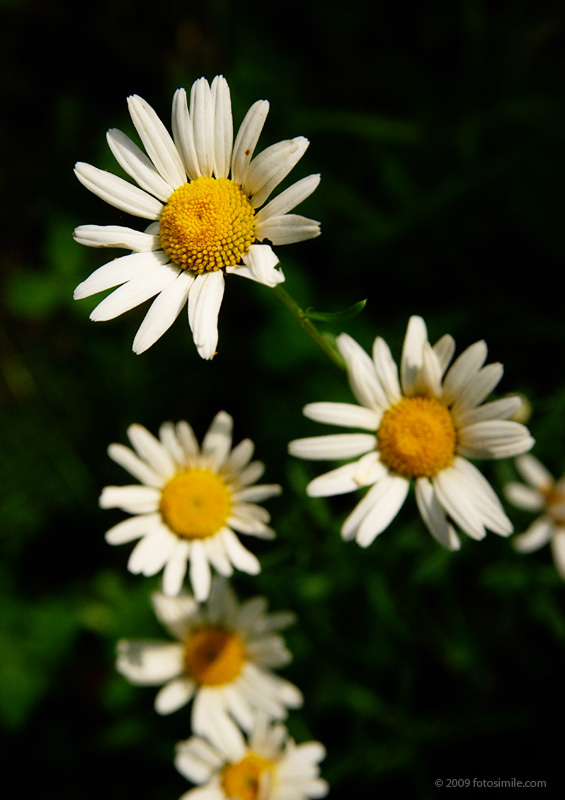 I do like the differential focus and, whatever the rules say, daisies always make me happy.